The Fosha Family has for years welcomed the help and camaraderie of its staff. They recognize the hard work of the young people that become one of the most special aspects of the ranch experience. Many of them have become like second children to Ken and Randy Sue. Among the staff include wranglers, child care specialists, guides, housekeepers, and kitchen staff. Wranglers are trained over multiple seasons right here on the ranch. We support our staff in receiving child care certifications for all positions in sole care of small children. Contact us to inquire about employment on the ranch — we’d love for you to join our family! 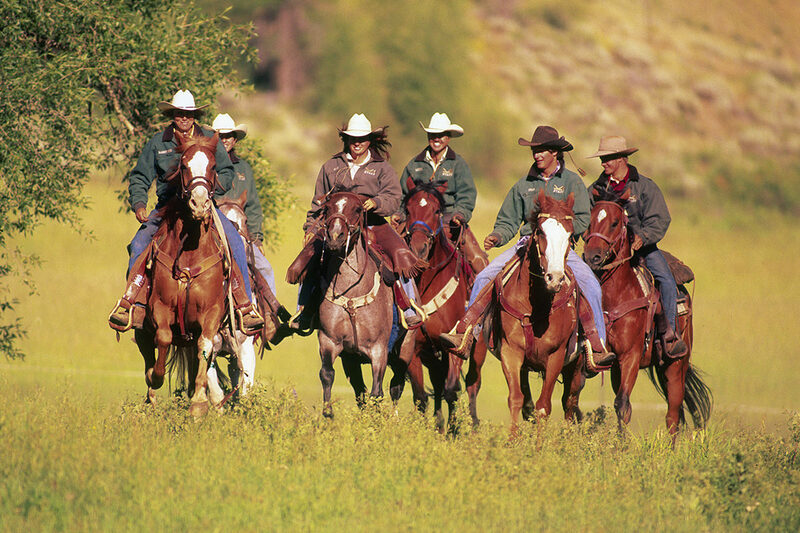 Each summer, we hire around 25 staff members that live and work on the ranch. Throughout the summer, staff members have the opportunity to meet incredible people from all over the world, spend time outdoors in Colorado’s Rocky Mountains, and learn the value of hard-work, teamwork, and friendships. We, the owners, all live and work on the ranch as well and are never going to ask a staff member to do anything we can’t or won’t do. We value hard work here at Drowsy Water Ranch, and we all are willing to work until a job is done, not until a certain time. We also value service and are willing to give our guests more than they expect. Staff enjoy spending time outside, exploring our area, and getting to know other staff and the guests throughout the summer. We encourage staff to take part in the horseback riding program and to enjoy the mountains around us. We are secluded in our private mountain valley that sits on about 600 acres, but we are only about 10 miles from the closest town and only about a two hour drive to Denver so you can get most anything you need without too much hassle. At the end of each summer, we have staff that want to come back again the next summer. The staff that want to come back are those that like to work hard, enjoy the outdoors, and enjoy going above and beyond to provide outstanding service for guests. Self-motivated individuals that enjoy leading and motivating others with hard work and a positive attitude are the most successful employees at Drowsy Water. We look for individuals that relish the rewards of hard work, enjoy working as a team and are willing to do more than is expected on a daily basis. Staff live and work with each other for around four months. In that time, they form relationships that often last a lifetime. Staff members that get the most out of working at DWR are those that take an interest in our guests. Spending time with other staff is great, but spending time, even free time, with the guests is often more rewarding in the long run. While we have some internet and cell phone coverage, we find that staff who prefer spending time outdoors and exploring our beautiful surrounding mountains are those that get the most out of their time at DWR. Staff accommodations are bunkhouse or dormitory type rooms. Typically, 2-3 people per room (male and female separate) with shared bathrooms. Bedding is provided for those that are flying in and don’t have room to bring their own. We do provide staff laundry services free of charge weekly. Staff meals are typically the same as our guests eat and are provided 3 times daily in a separate staff dinning room. Snacks and refreshments are always available. Special dietary needs can be accommodated. Along with working in a beautiful location and meeting great people from around the world our staff are compensated with an hourly wage plus an equal share of ranch gratuities. Many of the positions work an average of 40-55 hours per week depending on position and we do pay overtime. Our staff also save during the summer by having low costs for housing, food, commuting, and laundry facilities. We have quick access to some of the best hiking, mountain biking, and horseback riding in the state. The majority of our staff either drive themselves to the ranch, fly into Denver and take a shuttle, or ride AMTRAK to Granby, Colorado. Granby is the closest town to the ranch and has a grocery store, gas stations, restaurants, etc. Denver is the closest major city and is about a two hour drive. If you do not drive yourself to the ranch and need anything from town, you are more than welcome to ride along with the “town run” which is daily or to carpool with other staff members. Along with all the ranch activities and amenities (horseback riding, rafting, pool, hot tub etc) we recommend staff enjoy the beautiful area and surrounding areas on their time off. We have thousands of places to hike, mountain bike and fish in the area including Winter Park, Grand Lake and Rocky Mountain National Park.